Momoco's title sequence concept for Into the Blue, an American action movie from 2005 with an underwater treasure hunting theme. 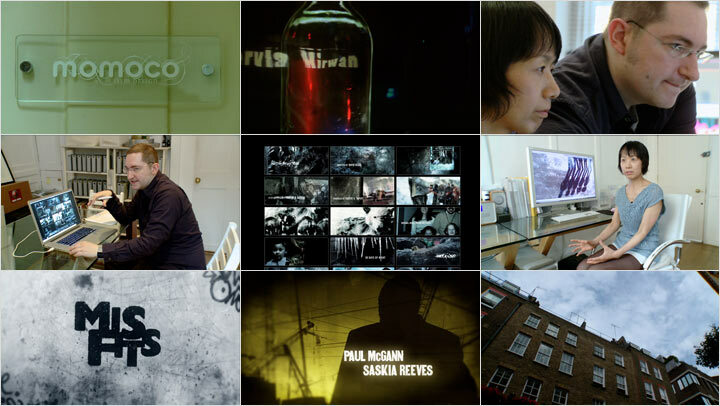 We featured this title sequence in 2008, when Momoco consisted of studios in London and L.A. Meanwhile, The L.A. studio continued under a different name. it's just Momoco, London now. It seems that the big film studios don’t care for experimentation when it comes to main title design. According to Nic Benns, the bigger studios have more confidence with 'experimentation' if the titles go at the end of the movie. “If anything, it’s the legals that often restrain us - this credit having to be the exact percentage size of that credit, etcetera. So, definitely more freedom if titles are at the end of the film, but there's less impact. Instead of setting up the movie, we are prepping the audience for catching the tube home. The titles also tend to be more languid and audiences are ruthless at getting up and scrambling for an exit as soon as the last frame of picture fades out. Very nice, but heavily inspired by the Sphere intro indeed. Maybe they reckoned everybody would have forgotten about Sphere. I think it's worth it to put that one on here also. It has a nice mix of filmed graphical elements with After Effects titles. Even the music echoes Sphere. Here's a link to that intro (if I may). Thanks for this website by the way !